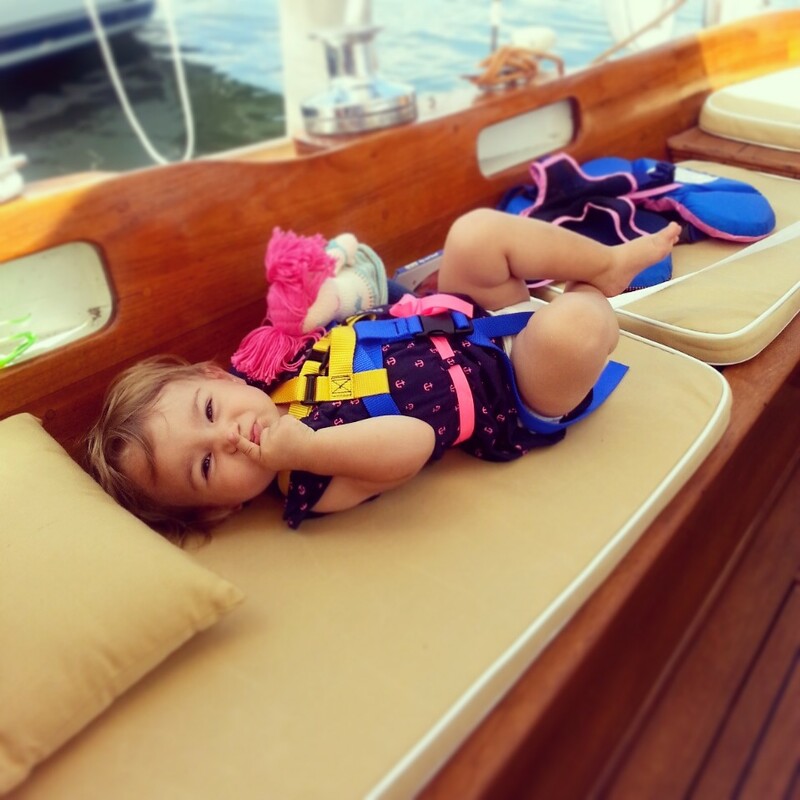 As Eric and I become more experienced "parent sailors," our approach to child sailing safety has evolved. 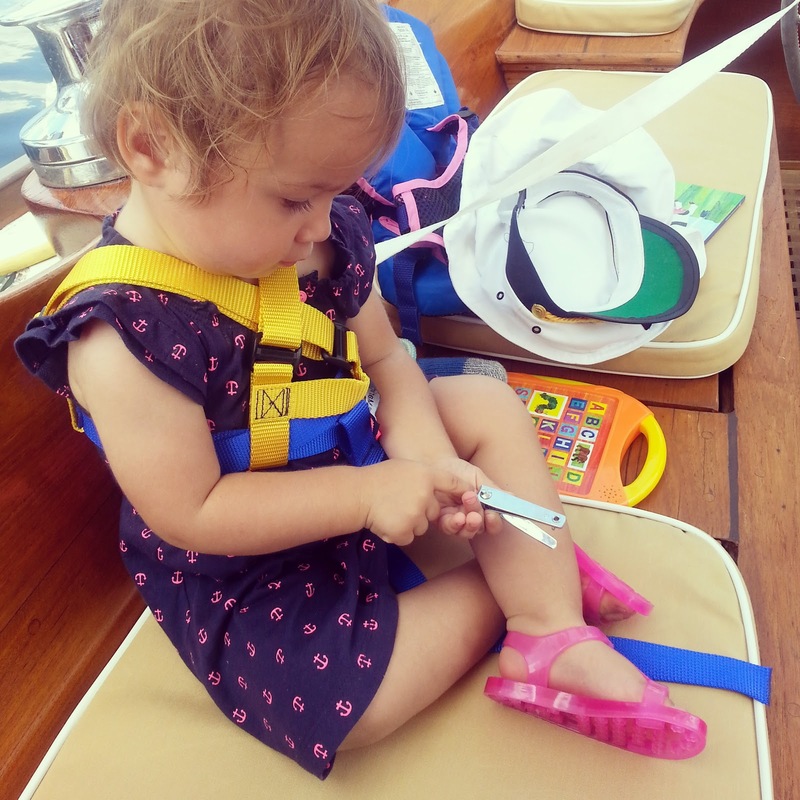 Before Helina was born, we bought her a special life jacket to "keep her safe." Our belief was that if she could float, she was safe. 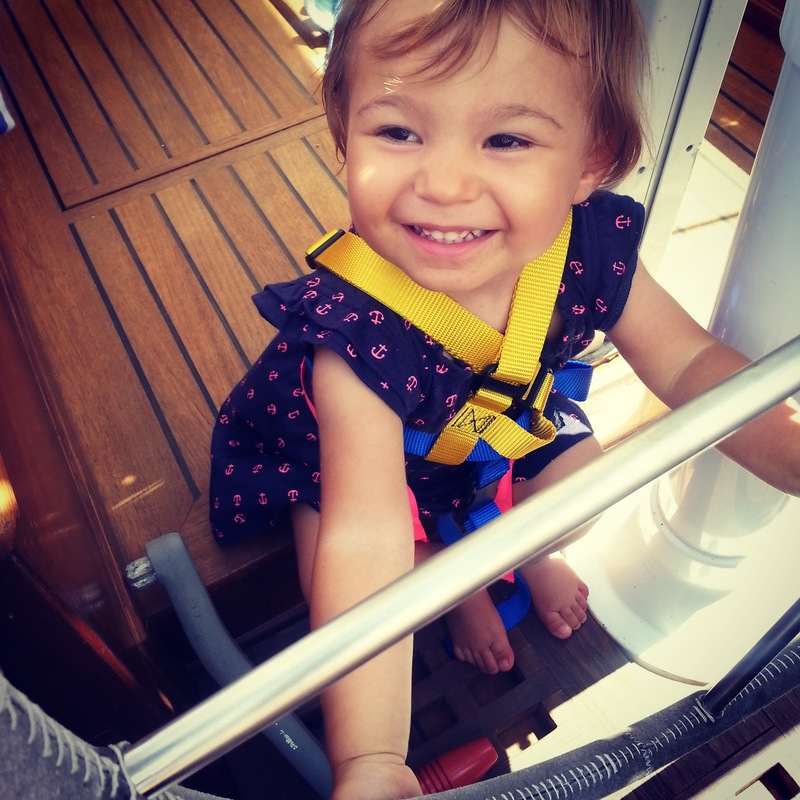 However, after spending a significant amount of time sailing with our tot, I can, with confidence, say that while we're on the water, seeing Helina in a life jacket provides absolutely no assurance that she is safe. While neither Eric nor I would ever suggest that a life jacket isn't important, we would both agree that a life jacket is only helpful after you've fallen into the water--it does nothing to prevent you from actually falling in, and falling in is what we're trying to avoid here aboard Sea Gem. 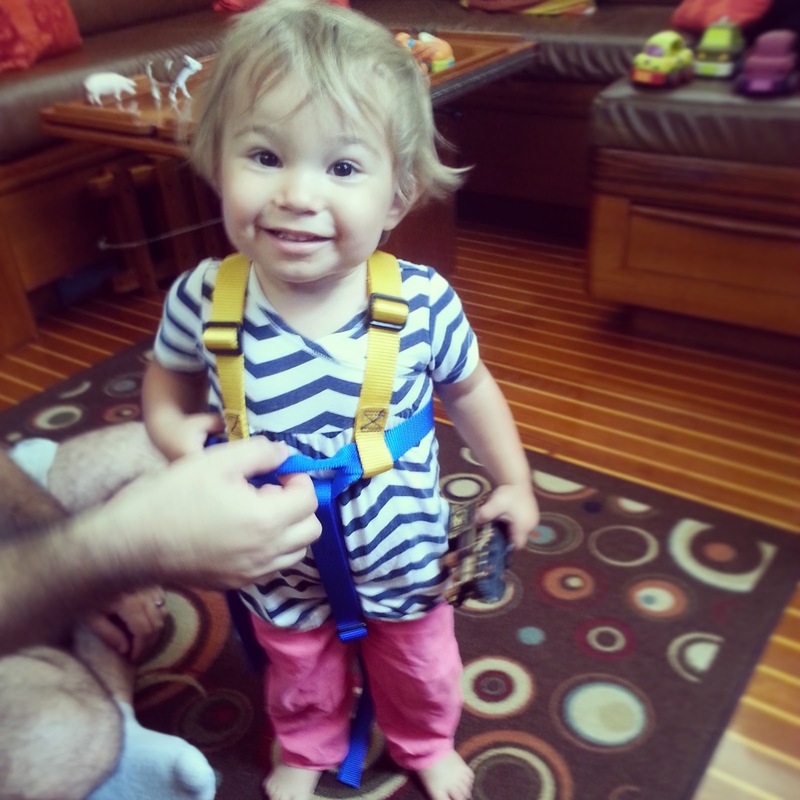 To help us achieve our goal of keeping Helina dry, we invested in a (pint-sized) sailing harness, which is quite an improvement over her previous "harness." As you can see, the addition of a leash didn't cramp Helina's style. I, on the other hand, felt like I was curbing a pet. I even caught myself attempting to get Helina's attention via whistle (à la dog). That bit of awkwardness aside, I'd say the sailing harness is working out rather well. 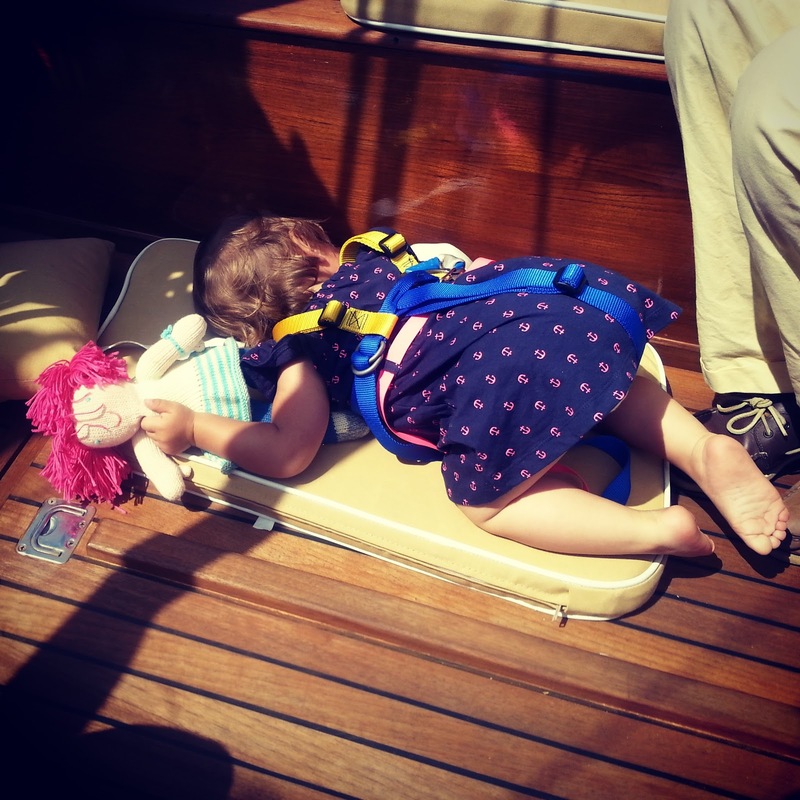 Don't worry though--we keep her life jacket on hand, which--surprisingly--makes me feel safe.